While Kaitlin Antonneau is no stranger to podium finishes, having taken wins already this year stateside at the C1 event at the Ellison Park Cyclocross Festival event as well as a win in last week’s CXC Trek Cup, the distance between the top steps of a U.S. event and a Cyclocross World Cup are often barriers that trip up Americans. Call it a 10% difference in the competition at the top of the World, 10% more effort, skill and drive required. 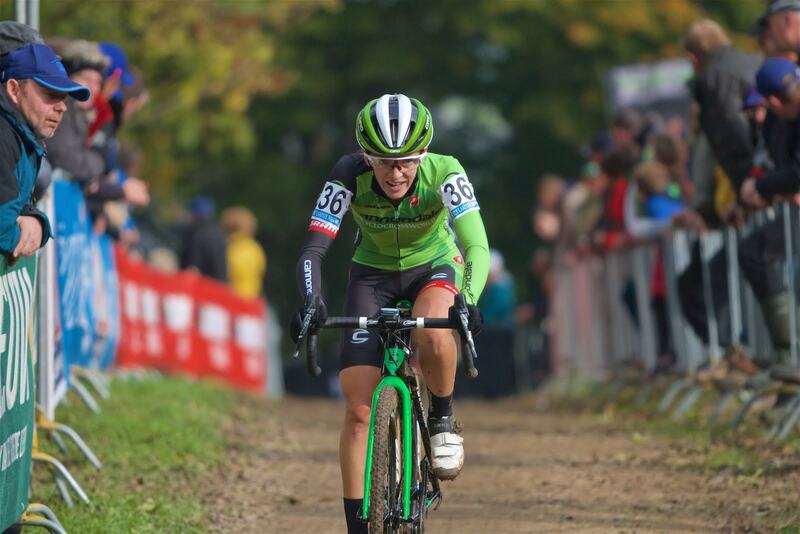 On Sunday, the Cannondale p/b Cyclocrossworld.com rider made the step up to a World Cup podium, finishing second in the technically demanding Valkenburg World Cup, a significant milestone for an American racer. “It’s a huge accomplishment for any rider to get on the podium but to see Kaitie make this jump knowing how hard she’s worked is really amazing,” explained Cannondale p/b Cyclocrossworld.com team owner and director, Stu Thorne. The podium represents another key success from the team, now in its tenth year.